Last week, I finished the last of the papers for my first two courses, which means I have completed my first semester as a doctoral student. There's still so much to go, but all journeys start with small steps. The final papers for both classes were challenging and engaging. They made sense as to why we were doing them and have helped me to be more aware about higher education as I move forward. That is, they continued with the learning that started in the classroom. We had a literature review paper, a group paper, and a self-study paper. Though the literature paper wasn't easy per se, it was the easiest of the three. I had a good sense of what I was doing and it was a matter of creating a coherent discussion. The group paper was challenging from an organizational perspective and trying to get twelve people to be able to functionally come together and write a big paper in a coherent form. The self-study paper was the hardest--not so much because I have trouble talking about myself (this blog speaks to that ability in excess, right?). Rather, in the context of the course, there was so much to consider that as I tried to craft one path, I found it was overrun with other paths. Therefore, I could never get more than a few pages into it without needing to rewrite large chunks of it. But all of them were worth it and I found a lot of good insights to the process. 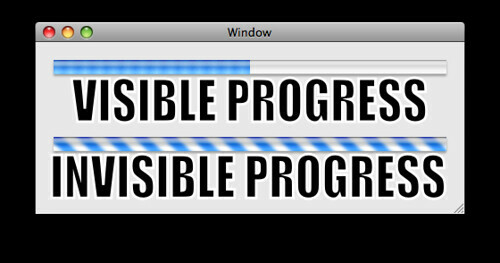 An apt visual metaphor for my progress in this program thus far. Beyond the success, what else do I feel in terms of completing the first two courses. I still feel a lot of excitement--for the program, for the cohort, for the intellectual journey I'm taking. I also feel a strong sense of clarity about what I'm doing. I had a sense of what I was doing but it wasn't until I sat down and started it that I really understood what I needed to do and that I would enjoy doing it so much. I also feel proud that I've actual set off to do it. I know that I kept saying that I would get a doctorate but I'm also happy to see that I am living up to my own word. It also feels overwhelming. I think about what I'm going for (a PhD in Higher Education) and the follow up (inevitable) question of what am I going to do with it. I don't really have an answer for that and I don't know that these first two courses have given me an answer. I have the luxury (i.e. privilege) to be able to pursue a doctoral degree without necessarily a direct and specific outcome. I mean I know it has something to do with higher education and I know that I am somewhat bound to higher education for the long run. But how it all fits together is unclear and I'm not sure it is any clearer after these first two courses. Having learned all that I did, there's a part of me that wonders if fixing some of the issues that we were exposed to is even possible or are we just contributing band-aids to a broken system. It's probably not that dire but given the different entities involved in higher education, it can sometimes seem nigh impossible to change. But that won't stop me from at least trying and using this program as a guide to what I can do to help shape, improve, or contribute to higher education--and I guess that's the big take away from the first semester is that with the proper tools and focus, I might be able to do something. So here's to that! Year 2, Week 1 Done! It Is No Longer "All About The Base"
Year #3; Semester 2: 30 Fridays left!